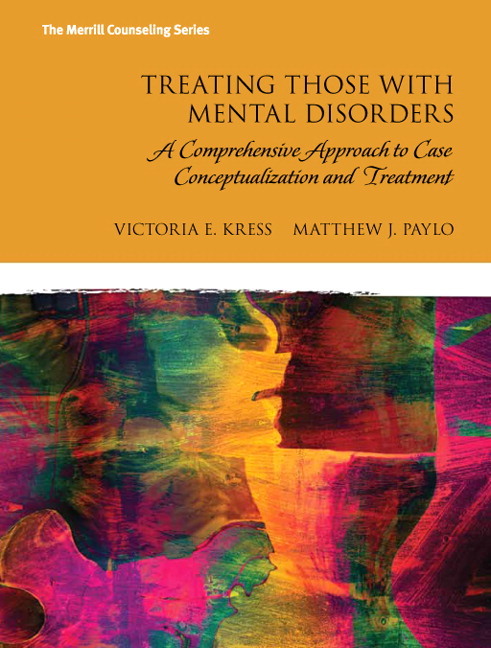 The authoritative reference on selecting and applying treatments for use in counseling and treating those with mental disorders. This text presents a sound, comprehensive teaching and learning experience for instructors and students. Here’s how. The ideal tool for treatment planning: This practical treatment planning text gives pre- and in-service counselors what they need to begin to help their clients with mental disorders. Readers see what it’s like to apply various theories and treatments with clients: Case studies, creative Clinical Toolboxes, and Voices from the Trenches present real-life examples of critical counseling concepts and approaches. A comfortable presentation of the material makes learning the issues easier and more familiar. The most comprehensive, rigorous assimilation of all of the current treatment literature is included, along with a summary of any emerging approaches that may warrant further consideration and research. The Enhanced Pearson eText provides a rich, interactive learning environment designed to improve student mastery of content with Case studies, creative Clinical Toolboxes, and Voices from the Trenches which present real-life examples of critical counseling concepts and approaches.The Enhanced Pearson eText is also available with a loose-leaf version or without a print version. Instructors, visit pearsonhighered.com/etextbooks to register for your digital examination copy. Students, register for or purchase your eText at pearsonhighered.com/etextbooks. The I CAN START case conceptualization and treatment planning model, including practical principles counselors can use to guide their treatment development process (Ch. 2). After its introduction in Chapter 2, the model is used in conceptualizing each of the case studies presented throughout the text. Brief discussions of mental disorders as defined by the DSM-5, as well as counseling considerations and treatment approaches. Chapters 4 through 15 each begin with a case and overview of information related to the category of disorders; include detailed information about the specific disorders, their associated counseling considerations, treatments, and prognoses; and conclude with a case treatment applications using the I CAN START treatment model. Case studies bring mental disorders to life, while presenting the comprehensive conceptualization model: Students and counselors get invaluable help in being more complete in their treatment conceptualizing and planning for clients. 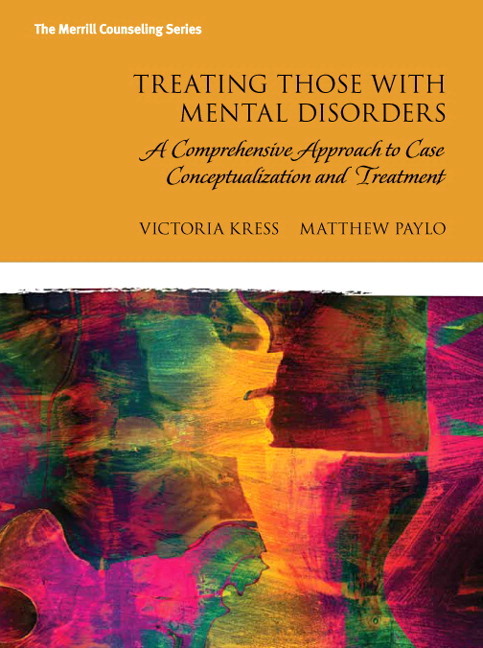 Chapters begin with case studies highlighting mental disorders covered in that chapter, and end with the conceptualization of that initial case study, broken down into each of the components of the conceptual framework. Clinical Toolbox activities provide examples of information or interventions associated with the mental disorder or treatment. Readers see illustrations of the information discussed in the text, with ideas for applying it. A comfortable presentation of the material makes learning the issues easier and more familiar: The text’s standardized chapter format presents a predictable reading experience by first describing each category of mental disorder, and then discussing the applicable counselor considerations, the most effective treatments, and the prognosis. Victoria E. Kress, Ph.D./LPCC-S (OH), NCC is a professor, counseling clinic director, and the director of the clinical mental health and addictions counseling programs at Youngstown State University. She has over 20 years of clinical experience working in various settings including community mental health centers, hospitals, residential treatment facilities, private practices, and college counseling centers. She is passionate about infusing a strength-based, contextual frame into all of her clinical work, and strives to provide counselors with practical ways they can enhance their practice, and empower clients. Matthew John Paylo, Ph.D./LPCC-S (OH), is an associate professor, director of the student affairs and college counseling program, and the program director of the counseling program at Youngstown State University. He has over 10 years of clinical experience in various settings including community mental health centers, prisons, hospitals, residential treatment facilities, and college counseling centers. Matthew is passionate about implementing evidence-based interventions within therapeutic relationships that illuminate empathy, unconditional positive regard, and genuineness.